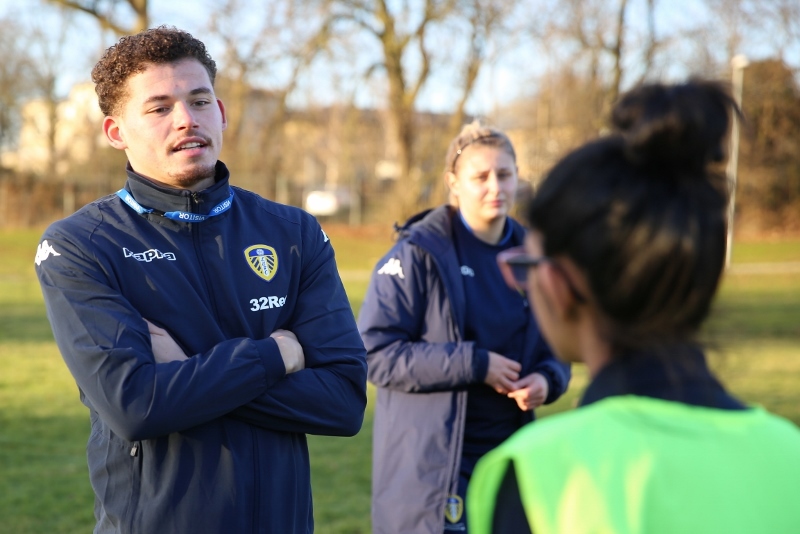 Leeds United first team player and mid-fielder, Kalvin Phillips, visited Allerton Grange School at the start of term to lead a training session with 60 girls from across year groups. News of the appearance spread quickly around school with students eager to catch a glimpse of the VIP in the flesh. A few lucky super fans were able to meet Kalvin and shake his hand; the down to earth footballer was more than happy to pose for photographs and hand out signatures. The visit was an unforgettable experience for everyone involved. 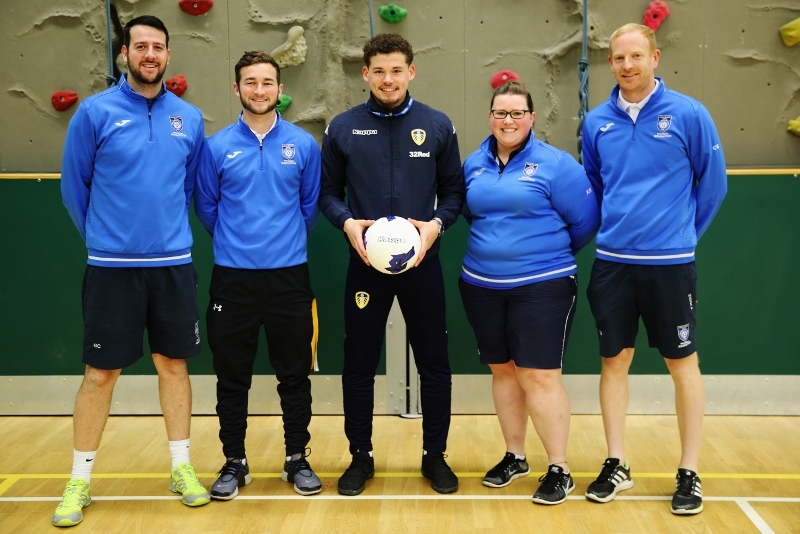 The event was organised by Miss Radford, in partnership with Leeds United Premiership Foundation, as part of our joint commitment to promote girls’ football at grassroots level. 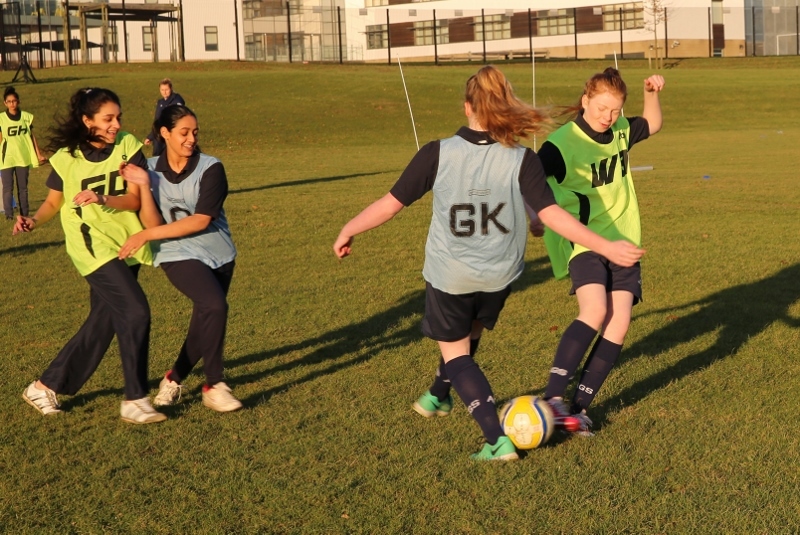 Since the partnership was formed two years ago, the Foundation have provided a Coach to run girls’ football every Thursday after school, as well as a Development Officer who has arranged fixtures across Leeds with other schools involved. During the session Kalvin was on hand to give feedback on technique to the girls who were playing friendly 5 a-side matches. At the end there was an opportunity to ask questions which, along with the training exercise, was recorded by LUFC TV and will appear online. Miss Radford, Teacher of PE, said “This has been such a fantastic opportunity for the girls at Allerton Grange School to meet a first team player from our local football club. “Getting the chance to train with a professional like Kalvin doesn’t happen every day and it’s worked well to shine the spotlight on girls playing football.